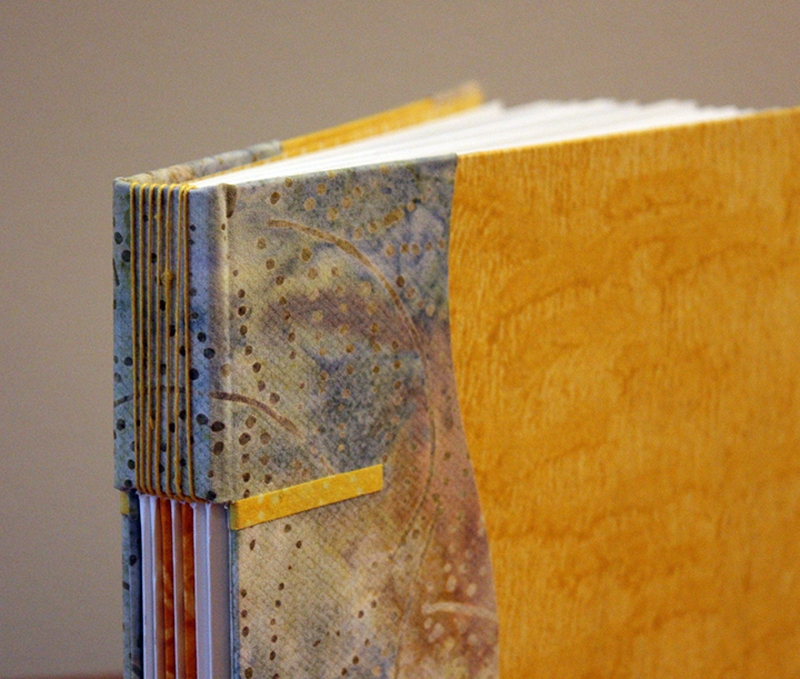 This handmade hardcover sketchbook is bound to inspire! Covered in handmade paste papers and batiked cotton cloth, this book is bound with waxed linen thread using the button hole stitch, an exposed binding method. 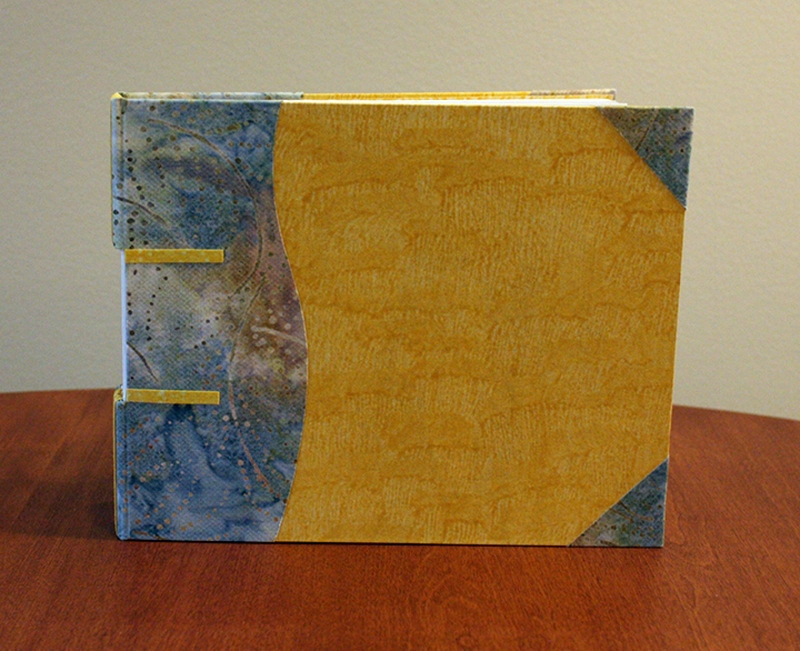 I made this book using archival and acid-free materials. Size: approximately 8.25 inches by 6.5 inches when closed; 112 pages of 70 lb. acid free drawing paper (back and front). The book you see here is the one you will receive.